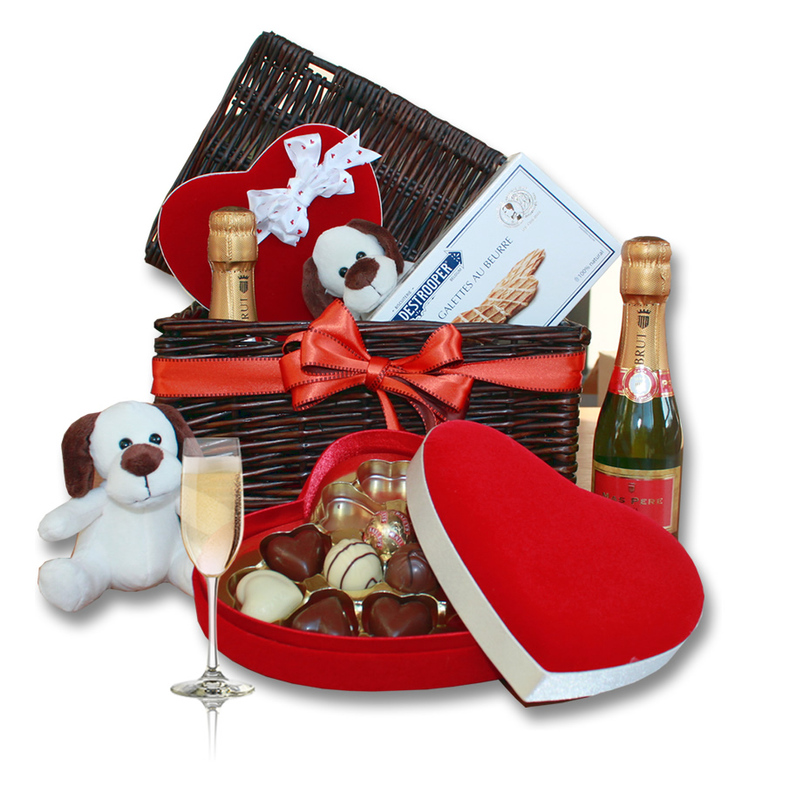 A beautful wicker basket, filled with a heart shaped box with excquisite Belgian chocolates, a bottle of Martini Cava (30cl) , a box of gourmet Jules Destroopere butter cookies and an adorable cuddly toy. A wishcard with your own personal message makes the gift complete. We deliver this gift in the Benelux countries, France, United Kingdom, Germany, Austria, Denmark, Poland, Italy, Slovakia, Czech Republic and Hungary.